Emails are necessary tools for communicating with other people. The convenience of sending emails have led many people to rely on them in sending different kinds of email message to different recipients. Technology, indeed, made our life easier in many ways. In this day and age, you’re probably already aware that there are different kinds of email. And you’ve probably learned the basics of email writing, and the email etiquette in both writing and sending emails to particular people. 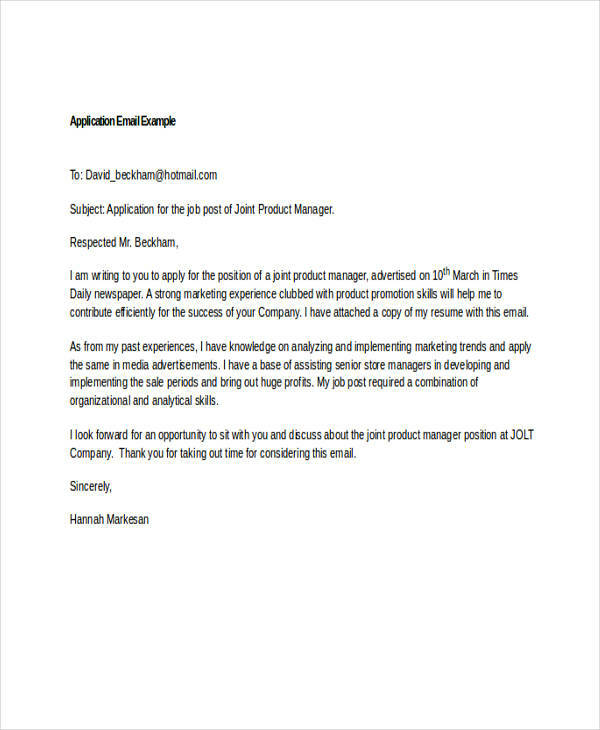 This article will talk about application emails: what they are and how to write one. What Is an Application Email? 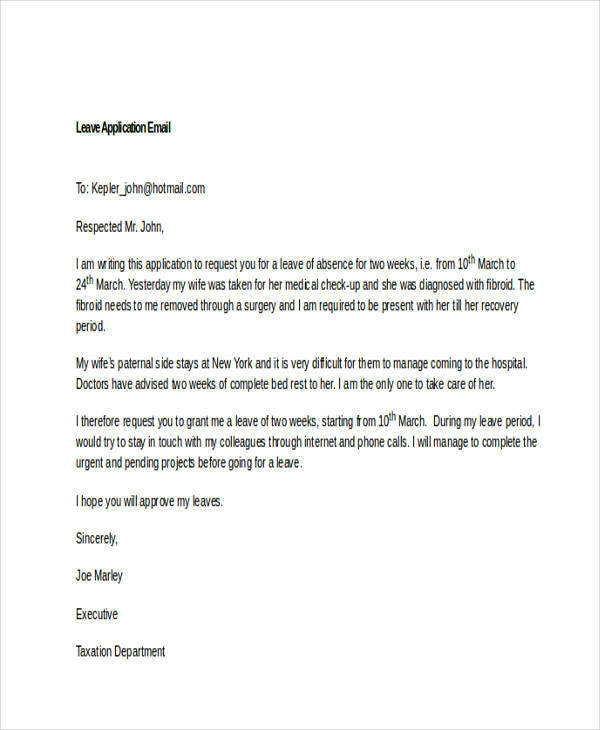 An application email is an email you send when applying for something (e.g. job offer position, school admission). Many people probably prefer sending an application email because of its convenience. If you’re searching for a job, you’ll find application emails really helpful, since they cut the time needed in job hunting. You can send different application emails to different employers simultaneously, without spending too much effort. 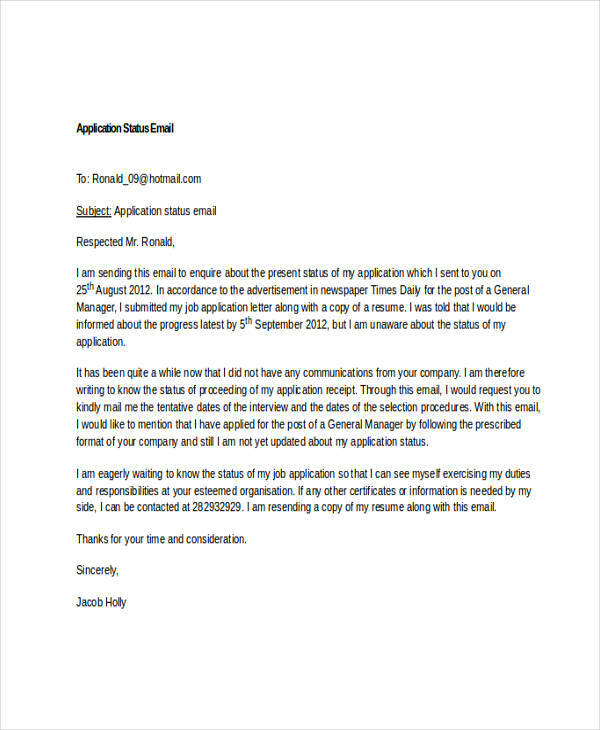 Furthermore, application emails are also convenient for employers since it also cuts their time in reviewing the different applications. In short, formal email application makes the application process easier. Subject line. Fill this area with the necessary information (e.g. 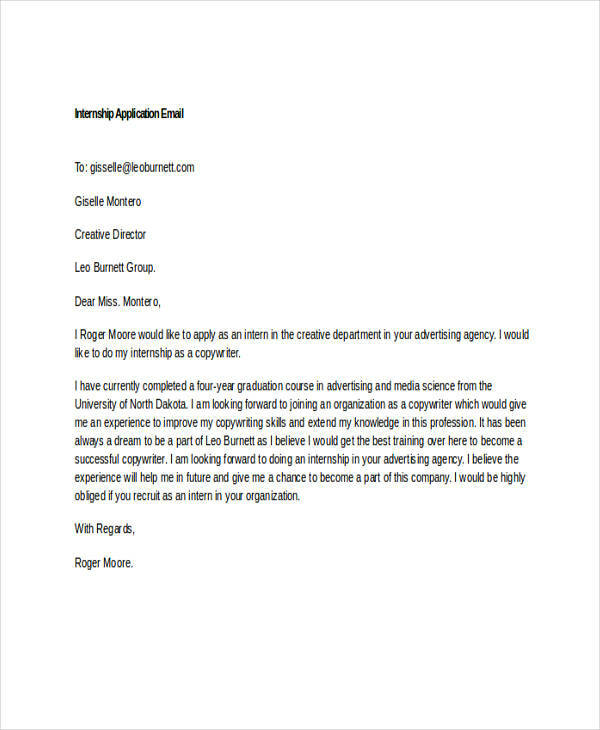 Job Application email [your name]). Heading. This contains the name, address, and contact details of your recipient. Some application emails do not contain a heading. Others, as you can observe, contain a heading. Polite salutation. An introduction serves as an opening message to your recipient. Email message. A formal message stating your intention in sending the email, and other details. Still polite closing remarks. So you need to be polite until the end of your application email. Email signature. This may include your complete name, signature, address and contact information. 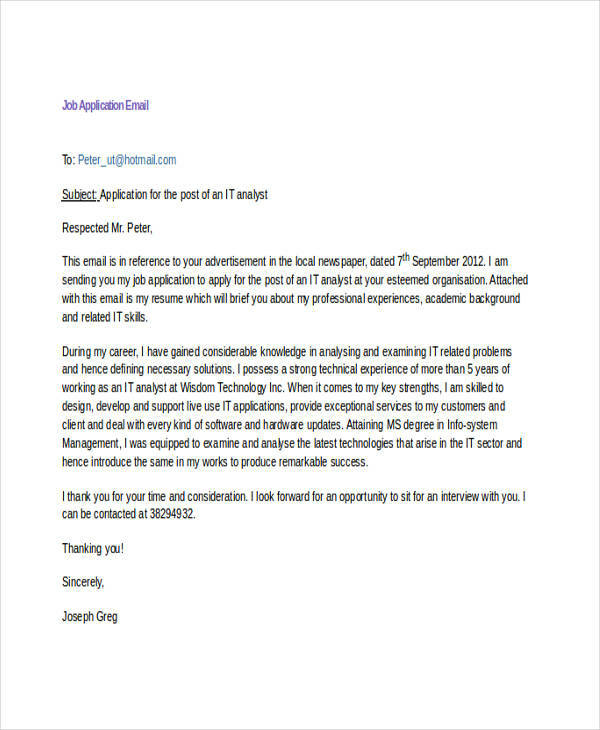 Attachments including email resume and cover letter. Writing an application email can require much work to the writer. 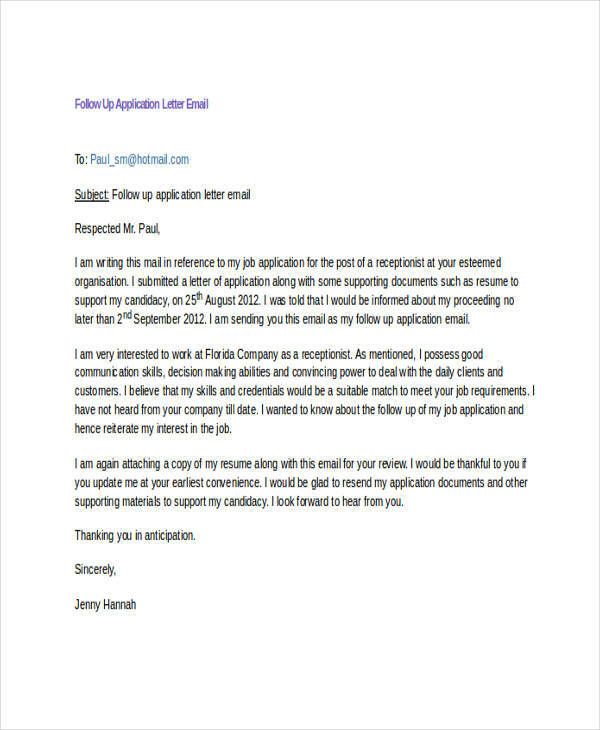 However, an application email in pdf is a must when you’re applying for a job of your choice. Follow these steps to make the process more bearable, if not easier. Begin by filling up the subject line of your email. This is the first thing your potential employers see when they check their email inbox. Carefully consider the information you need to write in your email. You have to think carefully of the things you want to say to your readers. Write your salutation or greeting politely. Write the body of your email letter clearly and simply. Keep a formal and professional email tone. Use simple words and sentences. Go direct to the point. Remember to state the reasons for writing the email, the position you are applying for, and other details you need to include. End your letter with impact. 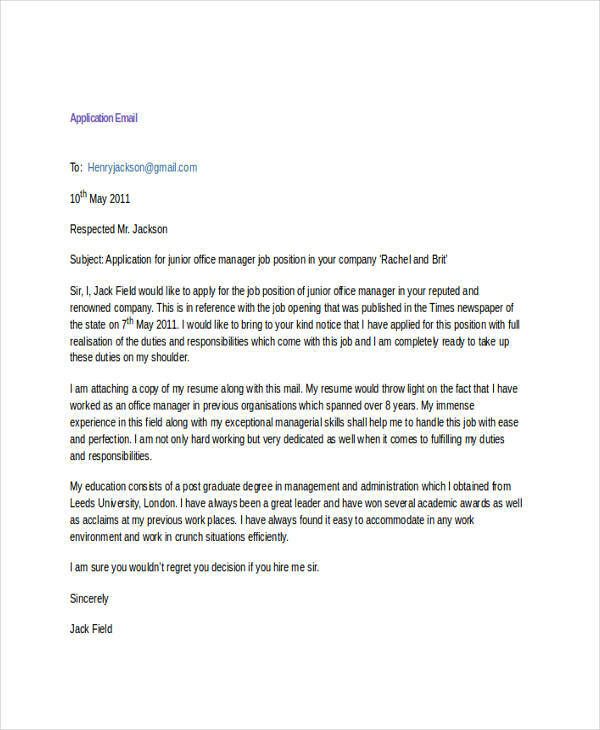 Write remarks which would leave an impression to your employers, while still remaining polite. Affix your email signature at the end of your letter, including your contact information. Attach the necessary supporting documents. This includes your resume and cover letter in email.